As reported by The Guardian, the Secretary of State for Housing, Communities and Local Government, James Brokenshire, has proposed stopping landlords of rental properties from evicting tenants at short notice and implementing a minimum three-year tenancy agreement. Currently, approximately 80% of residential tenancies in England and Wales are agreed for either a six or twelve-month period. The assured shorthold tenancy agreement is the most widely used tenancy agreement by buy-to-let landlords. This type of tenancy entitles the landlord to a possession order immediately after the initial agreed period, meaning the landlord is therefore able to evict the tenant after the initial fixed term without a legal reason. The UK Cities House Price Index, published by Hometrack, a property research organisation, has shown that London is amongst five cities where home prices are declining in real terms, when adjusted for inflation. Their definition of a decline is where house price annual growth rates fall below the Government’s Office for National Statistics’ (ONS) Consumer Prices Index (CPI), which currently sits at 2.4%. 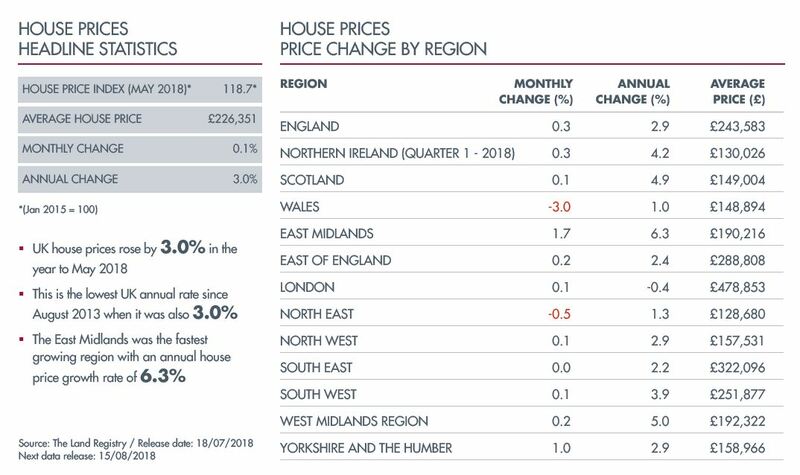 The Hometrack report states that London house price growth has slowed to a nine-year low, while prices in Edinburgh and Manchester are rising faster than in any other major UK city, with price gains of 7.1% and 7% respectively. FASTER REDRESS FOR DEFECTIVE NEW-BUILD PROPERTIES? In a report entitled ‘Better Redress for Homebuyers’, the All-Party Parliamentary Group for Excellence in the Built Environment, states that the landscape for buyers of new-build homes who are trying to resolve complaints about building defects is a confusing one. This problem is compounded by the complexity of the current number of housebuilding codes, building guarantees, and individual developer’s complaints procedures. The All-Party Group have proposed setting up an independent ombudsman with powers to reimburse buyers by up to £50,000, or even give the buyer recourse to reverse the original sale contract. It is proposed that the scheme would be funded by a levy on housebuilders. According to the most recent capacity survey from estate agent Savills, the policy environment for delivering affordable new homes is improving. However, the availability of suitable land was cited by 86% of respondents as being the number one barrier to achieving this, with the lack of subsidy or grant being claimed by 54% as the number two barrier. Meanwhile, Government policy was only cited by 24% of their participants as being a barrier. The Government’s target of 300,000 new homes per year continues to put pressure on housing associations to ramp up their housebuilding to bridge the gap from the present supply of 220,000 houses.